New to Yoga? Click here: "How to Start Yoga Guide"
Calm the body and mind with this yoga class curated just for you. Have tight shoulders? These 5 poses are guaranteed to create space. Tight from sitting at a desk or driving? These hip flexor stretches will get you right back on track and feeling limber. Want to get twisted? Bring life to your spine and find a deep sense of renewal with these effective twists. Just one minute to calm the mind and body. It's so easy, just watch the breath. Before you know it, you'll be a part of the meditation movement. 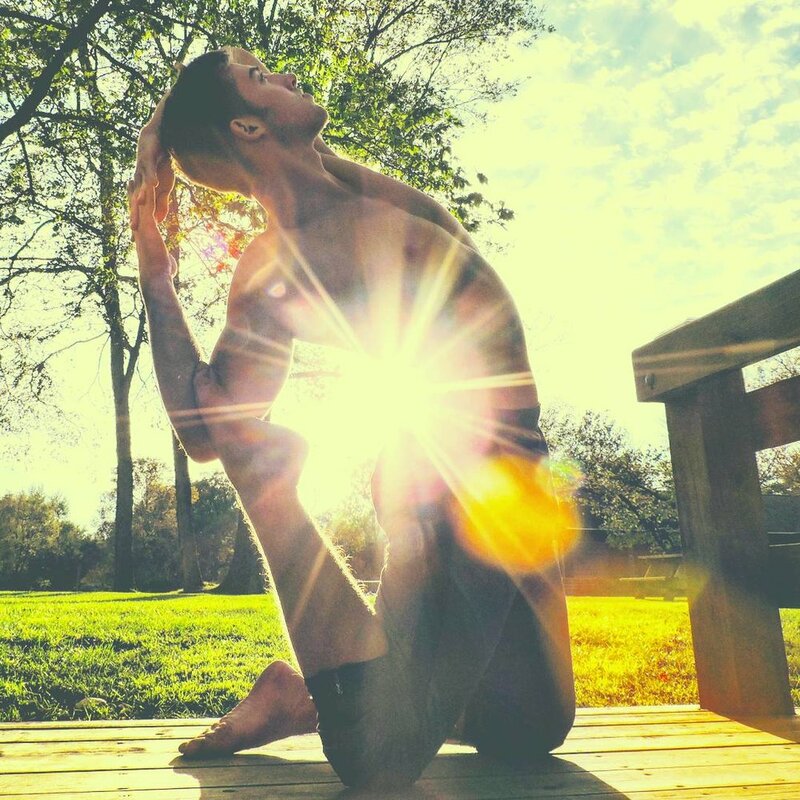 A video and text (with pictures) guide to correctly performing the 20 movements of a traditional Sun Salutations and the reasons why. A total body yoga class, designed to build strength, flexibility and peace of mind. A ten minute meditation on the beach, led by Katie. Enjoy true relaxation and a sense of peace. Noticing yourself hunching forward? Want to improve your back bending? This is for you! Tired of cranky hips? Whip them into shape with these 5 go-to poses to get healthy, happy hips in no time. Looking to relax and rejuvenate? Then these gentle, meditative poses are for you! Zen out and enjoy. Learn the technique used all over the world to bring the nervous system into harmony. Balancing the mind and body in the process. Want to learn how to train dips on gymnastics rings? Learn how to crush it on the rings and get strong shoulders, triceps, chest and an impressive core. This video will show you how to use this ultimate bodyweight tool. A gentle can compassionate beginner yoga class. Experience stress reduction and a deep release in the muscles. Enjoy this forest flow, great for the whole body temples to toes. Andrew and Katie discuss the significance of Om, what it is, how to practice it. And then lead you in a chant of Om. In just 5 minutes, learn to fly in this fun one arm balance! Stiff Hamstrings? Enjoy the deep release that stretching the hamstrings provides. Sure to make you feel better. Enjoy this Power Yoga Class! Starts with stillness to calm the mind, then we challenge the body, and finish with a tasty savasana. Want a full range of motion? Then try these 5 internal hip stretches to get right. Great to improve mobility and quality of life. Bring joy to the world and yourself, at the same time! It's possible, with this powerful meditation. Love is all you need. Try this core workout sure to fire up your middle, strengthening the core from all angles. Designed to target all of the muscles of the abs, this will get you sweating. Good luck! Enjoy 3 easy yoga poses you can do at your desk. Relieve some tension and stiffness with Andrew. 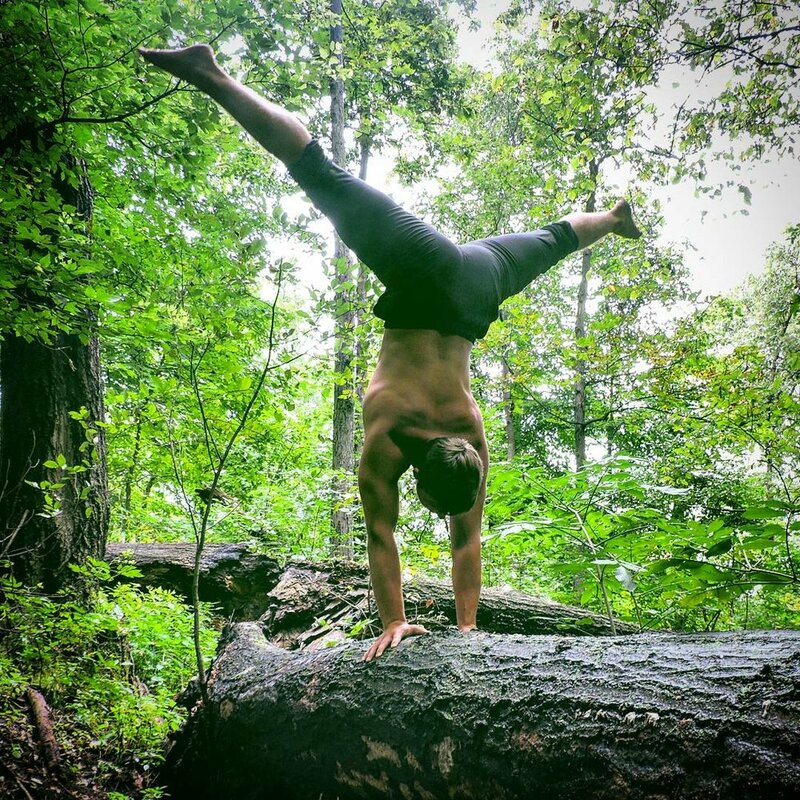 In just 5 minutes, Andrew take you through how to handstand without the help of a wall. You will learn how to fall safely, and some tips and trick to achieve success. Andrew guides you through 8 of the most effective breathing techniques in yoga.